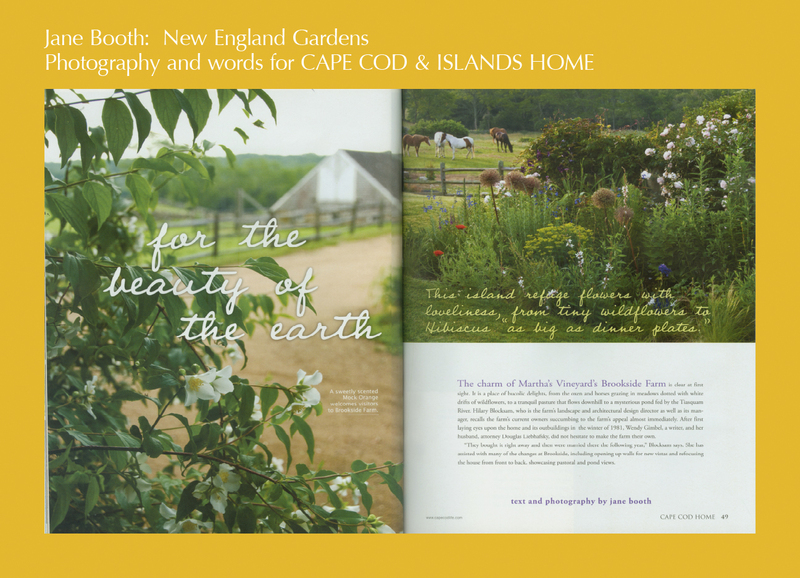 Jane Booth: New England Gardens | Ordinary people, extraordinary gardens … farmers and farming too! Phalaenopsis. 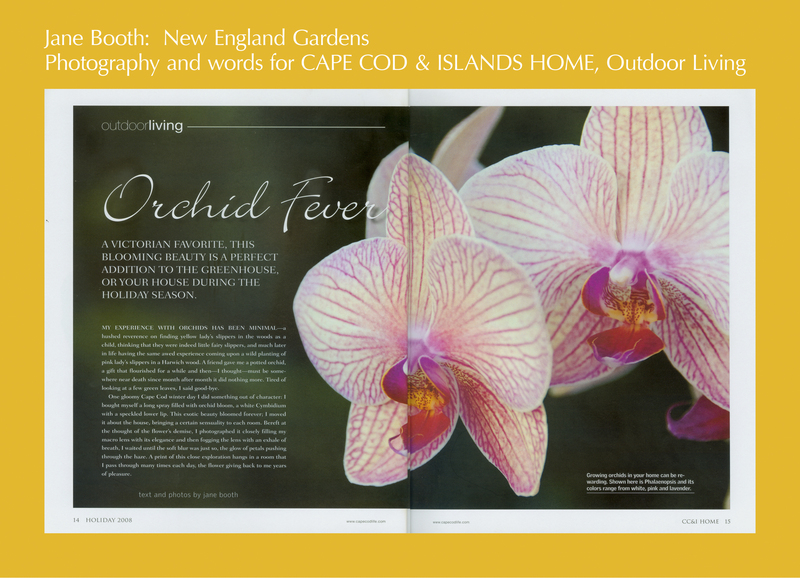 Growing orchids in your home can be rewarding. 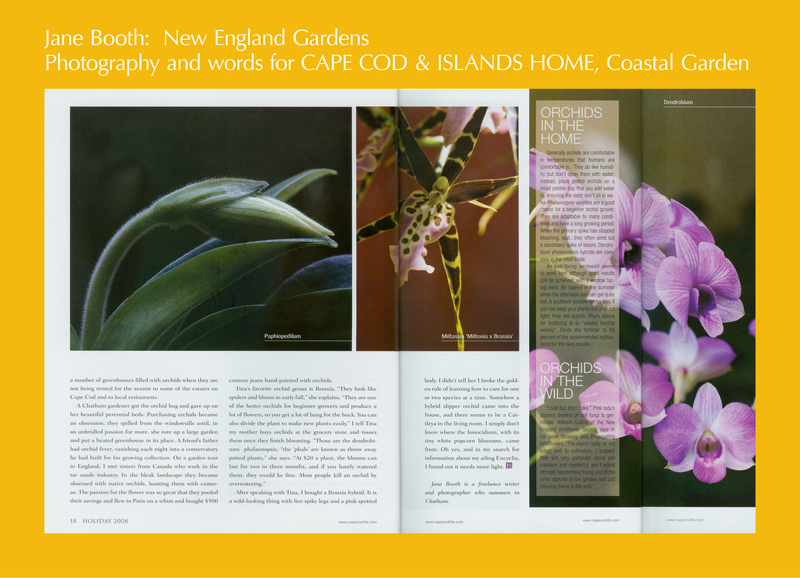 This entry was posted in Cape Cod Home, Published Work and tagged garden photographer, garden writer, Jane Booth, Jane Booth Cape Cod and Islands garden stories, Jane Booth Cape Cod garden stories, Jane Booth garden photographer, Jane Booth garden stories, Jane Booth photographer, Jane Booth story production, New England gardens, Orchids on March 13, 2015 by Jane Booth. 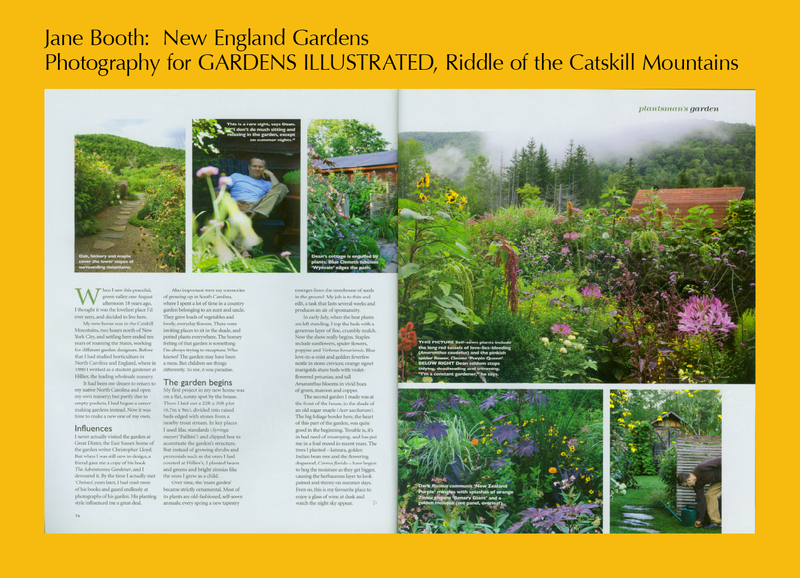 I still have the books my mother bought in her quest for garden knowledge. I’ve bought many more in my adult life as they are a wonderful source of inspiration. My best friends for the vegetable garden are “how to” books letting me know the onions are ready to harvest when their green tops have toppled over and to pull the garlic when the browning stems are tilting toward the ground. 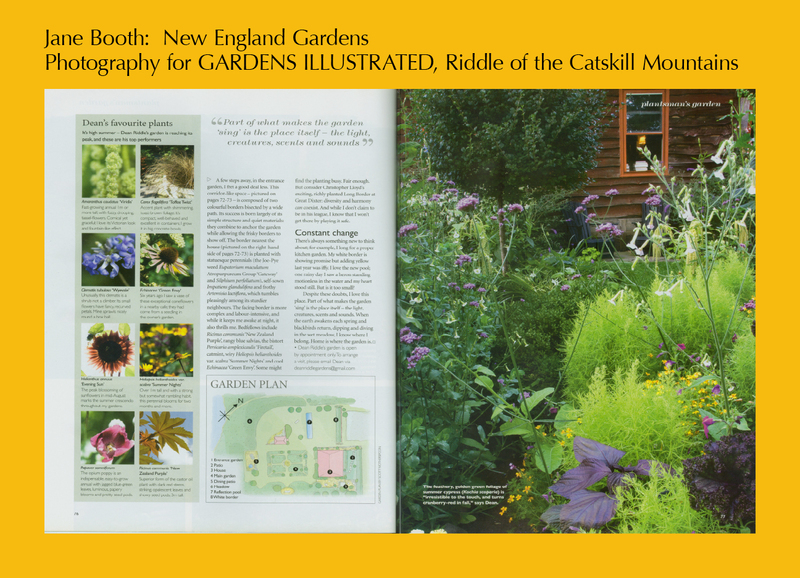 I have books on tending perennials and books on herbs and annuals. They are all an inspiration. When we are on the road and have the time I like searching out antique and junk stores for old garden tools, often sturdier than what is manufactured today though I have not been able to bring them into the garden, I just like looking at them and thinking about the hands that used them many years ago and the gardens they might have helped create. I also hunt for old terra cotta pots, especially small pots to start seeds in. They don’t retain moisture like plastic, but they look fantastic and you don’t toss them in the landfill when your plants have grown! 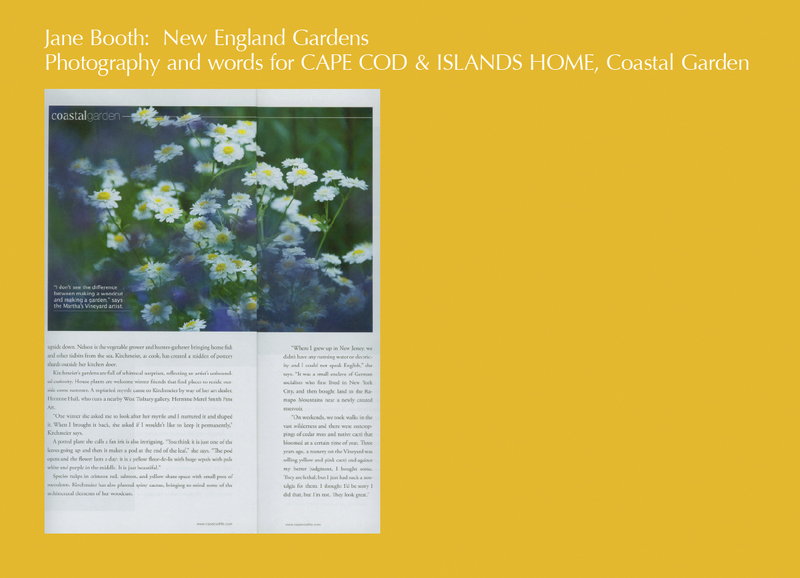 Some of the best inspiration comes from visiting gardens open to the public whether personal or private. I have often buy plants or put together color combinations I have seen in someone elses garden. 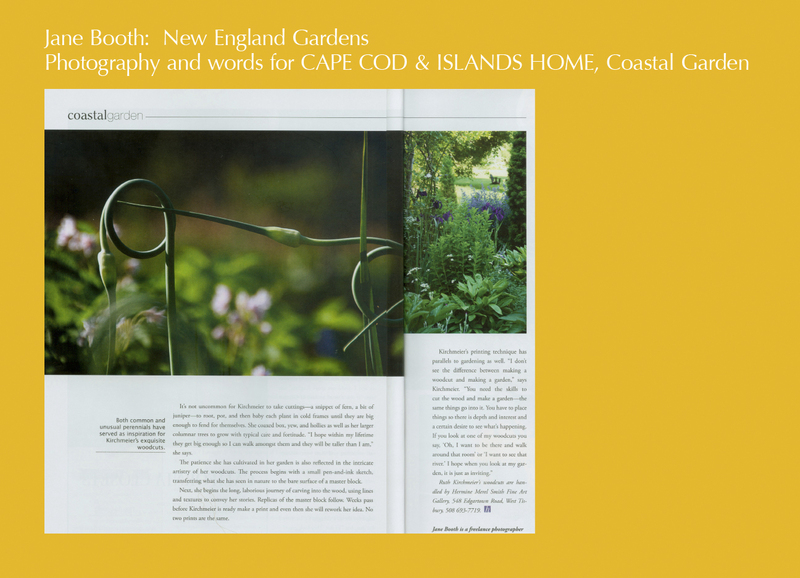 The Garden Conservancy, http://www.gardenconservancy.org, publishes The Garden Conservancy’s Open Days Directory, A Guide to Visiting America’s Best Private Gardens. 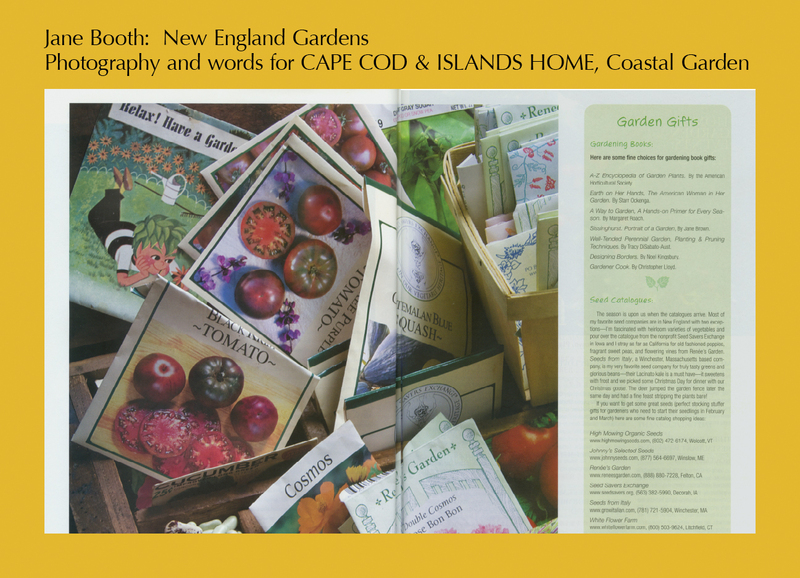 In the early winter I look forward to the arrival of seed and plant catalogues that I keep for reference and to drive a gardener crazy with want. 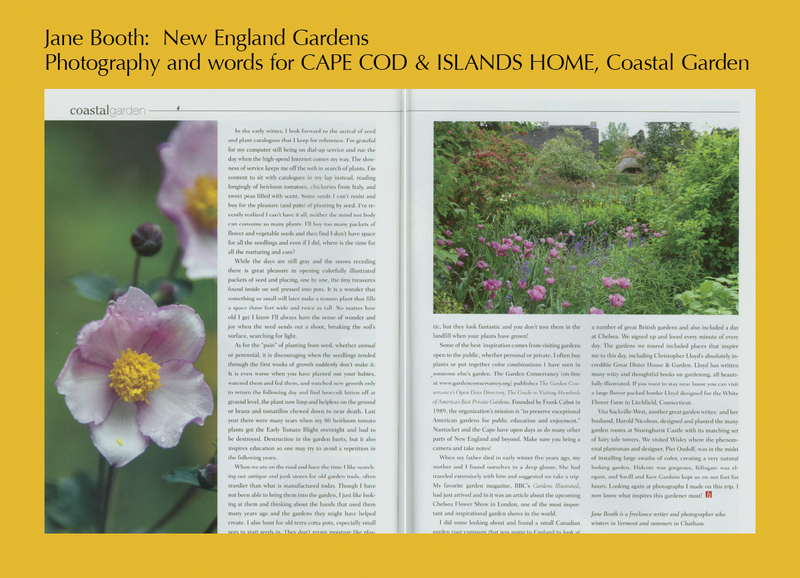 This entry was posted in Cape Cod Home, Published Work and tagged bleeding heart, candytuft, dogwood, garden photographer, garden story production, garden writer, Jane Booth, Jane Booth New England Gardens, Jane Booth photographer, Jane Booth story production, Jane Booth writer, New England, New England gardens, rhododendron, The Garden Conservancy, wisteria on March 12, 2015 by Jane Booth. Brookside Farm is a place one can easily fall in love with. 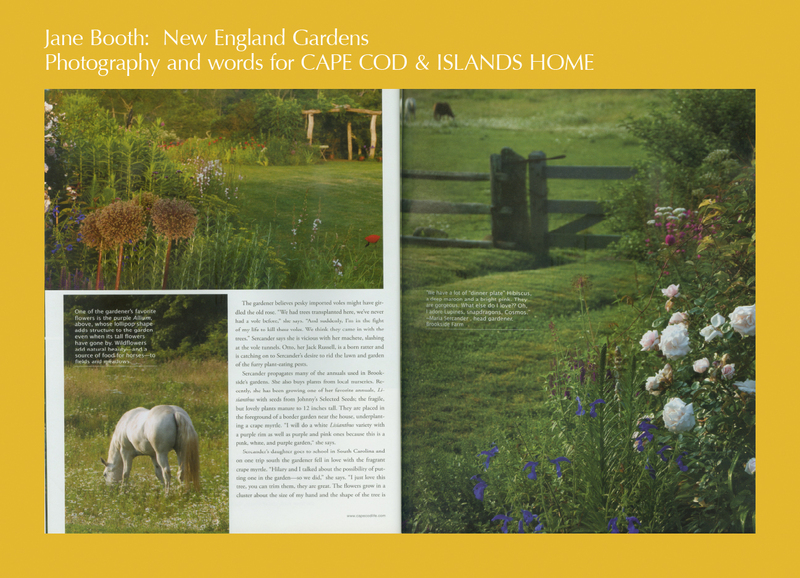 I had been warned of its bucolic charms — a pair of Red Devon oxen and a handful of horses grazing in meadows dotted with white drifts of wildflowers, a pasture flowing downhill to a dark mysterious pond fed by the Tiasquam River, and a beautiful house and outbuildings graceful with history. I had come to see the gardens and was met by Maria Sercander, who has been working Brookside’s gardens for 11 years. Hilary Blocksam, Brookside’s landscape and architectural design director, farm manager, and all around chess partner told me how the current owners, Wendy Gimbel, a writer, and her husband, attorney Douglas Liebhafsky succumbed to the charms of Brookside Farm when they first saw it in the winter of 1981. 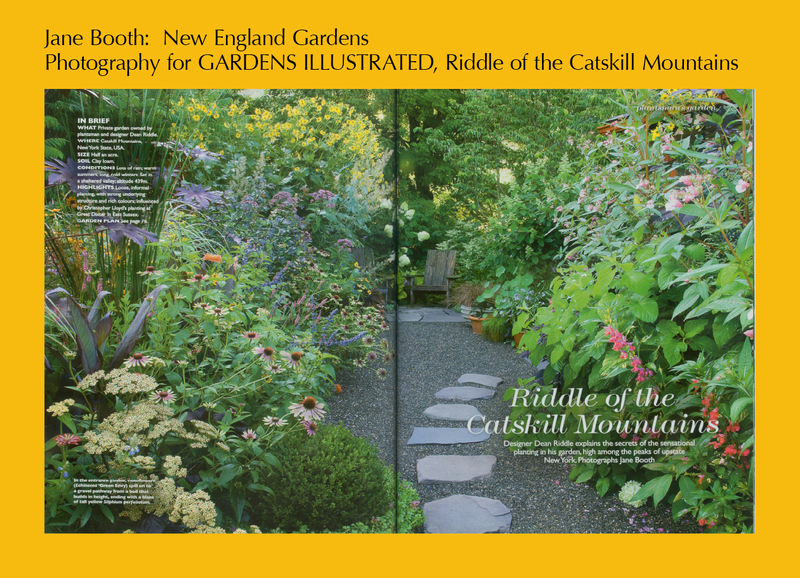 Maria propagates many of the annuals used in Brookside’s gardens. Sometimes she buys from local nurseries and recently she has been bringing in one of her favorite annuals, lisianthus, from Johnny’s Selected Seeds. 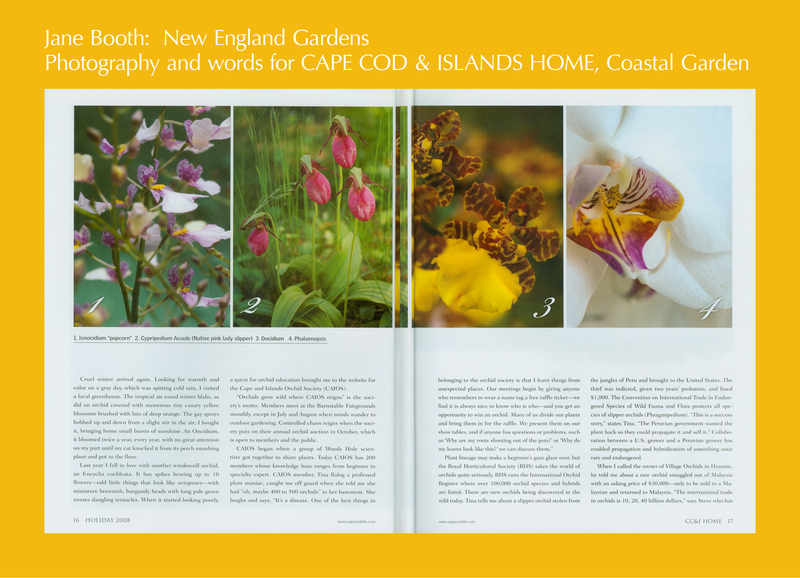 This entry was posted in Cape Cod Home, Gardening by the Sea, Published Work and tagged coastal garden, coastal gardening, crape myrtle, gardening by the sea, holly, island gardens, kousa dogwood, lilacs, martagon lily, Marthas Vineyard, mock orange, quince, seaside garden, seaside gardening on May 28, 2014 by Jane Booth. When I met Ruth Kirchmeier I didn’t know she was a woodcut artist but thought she must be a sculptor of tall columnar things, her garden suggested so with upright narrow hollies and yews. I imagined her hands chipping away at stout totems of wood. I had the medium right but the art form wrong, instead of totems she chips away at flat fields of pine, cutting into wood visual scenes close to her life such as a simple vignette of her dining room where a forsythia filled vase placed on a red runner radiates with the sun’s energy. “I don’t see the difference between making a woodcut and making a garden, you need the skills to cut the wood and make a garden , the same things go into it, placing things so that there is depth and interest and a certain desire to go around the corner and see what’s happening. House plants are welcome winter friends finding places to reside outside come summer. A topiaried myrtle came to Ruth by way of her dealer, Hermine. “She has a small gallery nearby, Hermine Merel Smith Fine Art, one winter she asked me to look after her myrtle and I nurtured it and shaped it. When I brought it back, she asked if I wouldn’t like to keep it permanently. 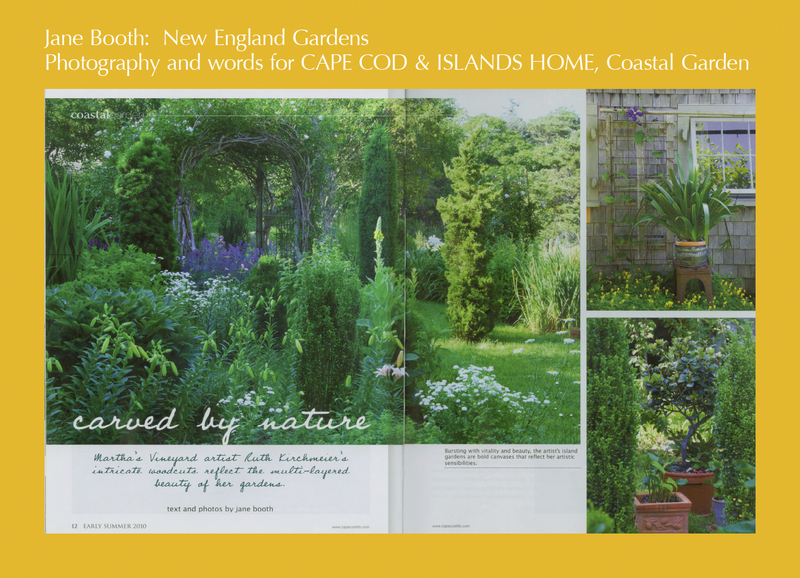 This entry was posted in Cape Cod, Cape Cod Home, Gardening by the Sea, Published Works and tagged artist garden, coastal garden, garden photographer, gardening by the sea, island garden, Jane Booth, Jane Booth New England Gardens, Jane Booth photographer, Jane Booth story production, Jane Booth writer, Martha Vineyard artist, Marthas Vineyard, Massachusetts gardens, New England gardens, private garden, seaside garden on April 23, 2014 by Jane Booth. 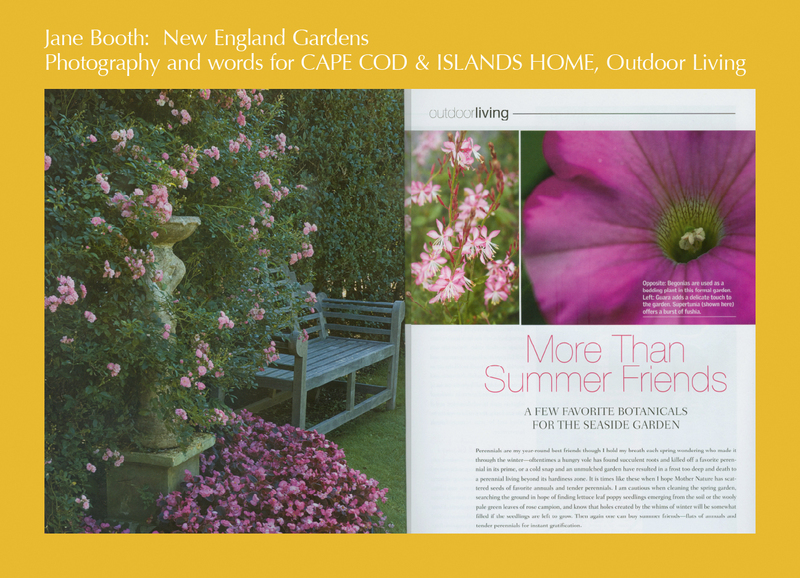 Favorite flowers for a Cape Cod garden include hardy roses, Guara, and ‘Cotton Candy’ Supertunias. To my Puritan New England eye, coleus has a always been a bit too exotic — red-dressed flamenco dancers edged in flames of green and white. Looking up the Latin name I came across another common name, Flame Nettle, and indeed, these are “hot” plants. 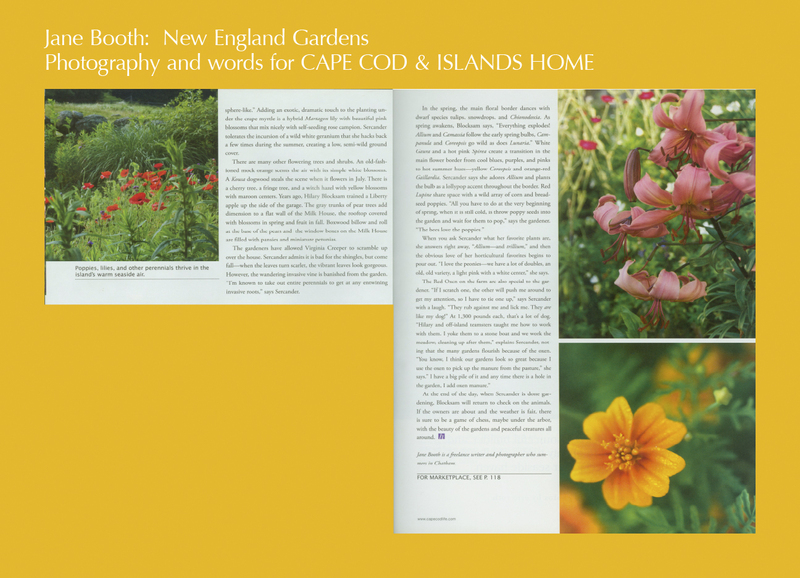 This entry was posted in Cape Cod, Cape Cod Home, Published Work and tagged annuals, arborvitae, bedding plants, botanicals for the seaside garden, Cape Cod and Islands garden stories, Cape Cod garden, Cape Cod garden stories, Carex 'Common Bronze', ceramic pot, coastal garden, Coleus, Colocasia, Cordyline 'Red Star', corkscrew rush, Don Milbier landscape designer and gardener, Dragon Wing pink begonia, elegant edging, Euphorbia 'Diamond Frost', flagstone terrace, Fuchsia, garden containers, gardening by the sea, Gaura, hanging baskets, Impatiens ballerina, Jane Booth, Jane Booth Cape Cod and Islands garden stories, Jane Booth Cape Cod garden stories, Jane Booth garden photographer, Jane Booth garden stories, Jane Booth garden writer, Jane Booth New England garden photographer, Jane Booth New England garden photographer/writer, Jane Booth New England garden stories, Jane Booth New England garden writer, Jane Booth New England Gardens, Jane Booth photographer, Jane Booth writer, Lobelia erinus, Million Bells 'Terra Cotta', New England garden stories, New Guinea impatiens, outdoor living, Peggy Black landscape designer and gardener, petunias, seaside garden, Spilanthes 'Peek-a-Boo', Supertunia 'Cotton Candy', Sweet alyssum, tender perennials, terra-cotta urn, urn, Verbena bonariensis on March 12, 2014 by Jane Booth. Winter gardening in a sometimes sunny window. A tiny cress sprouted just days after planting. 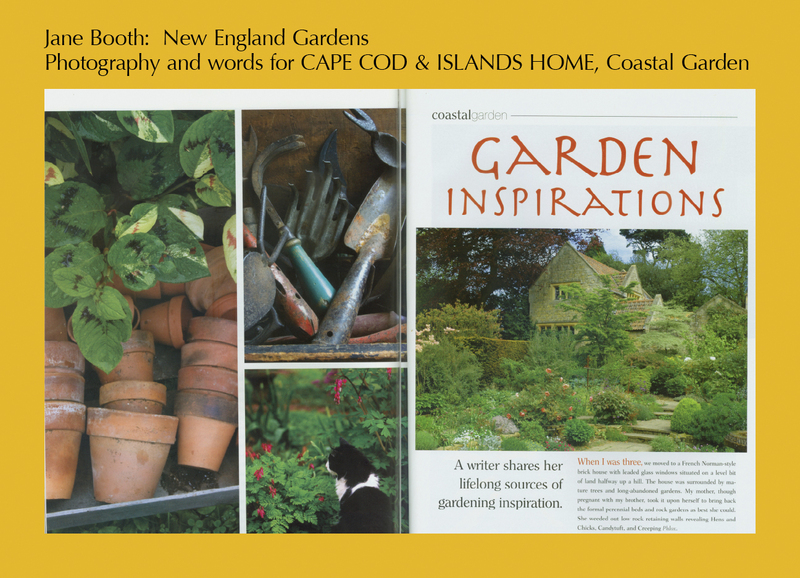 What inspires this gardener most when days are endlessly gray or bitterly cold? An array of colorful seed catalogues helps but even better is the smell of fresh potting soil and holding a handful of seeds. Each January as the days begin to get longer, I’ll dig out a couple of wide-mouthed terra cotta pots, give them a scrub, and fill them with a good germination potting mix. I always have left over vegetable seeds from the previous season and make it a point to set aside peas, arugula, cress, and mache. I’ll poke 1/2 inch holes two inches apart around the top of one soil-filled pot and pop in peas. Placed in a south facing window, with luck they will sprout in a week and as they grow I’ll snip off the twinning pea tendrils, I don’t expect to actually grow pea pods – just the tender shoots – good in a stir fry, mixed in a salad, or gracing the top of a ham and cheese sandwich. This pea was planted only four days ago and is a delight to my winter weary eyes. I’ll also pot up cress – Vermont’s own High Mowing Seeds, has one called Persian Broadleaf Cress, a specialty green. They describe it as “2-6 inch long, dark-green leaves with tiny teeth around the margin and a mild cressy flavor…a delicious and nutritious green.” I’ve planted cress the past couple of winters and snip it long before it reaches six inches and add it as a final touch to salads or sprinkle it as a nourishing garnish on a bowlful of creamy cooked homegrown cannelloni beans. Seeds of Italy is a favorite seed company for their endless variety of greens and chicories (not to mention eggplant, tomatoes, peppers, and the most wonderful beans). They also sell packets of garden cress – in Italian “Crescione Comune”. Seeds of Italy is my constant source for arugula, another easy to grow green that will brighten up the seemingly never ending days of winter and my need for freshly grown greens. Crescione Comune from Seeds of Italy or Persian Broadleaf Cress from High Mowing Seed? I’m going to experiment and try my hand at English Watercress I got from Renee’s Garden. Renee says “watercress is a cool weather crop”. Rooms away from our wood burning stove are cool (maybe too cool). I’ve filled an old bowl with garden gravel chips (you can get at Agway or any other gardening center) and will put potting soil on top. Watercress likes moist soil and I hope, with careful watering, to keep a mini reservoir within the gravel at the base of the soil. Tip: If you don’t have any terra cotta pots stored away for the winter, not to worry. I’ve planted up a mini garden in used plastic containers — whether they once held yogurt, salad mixes, olives, etc. Save the tops to cover your newly planted seed to aid in germination. 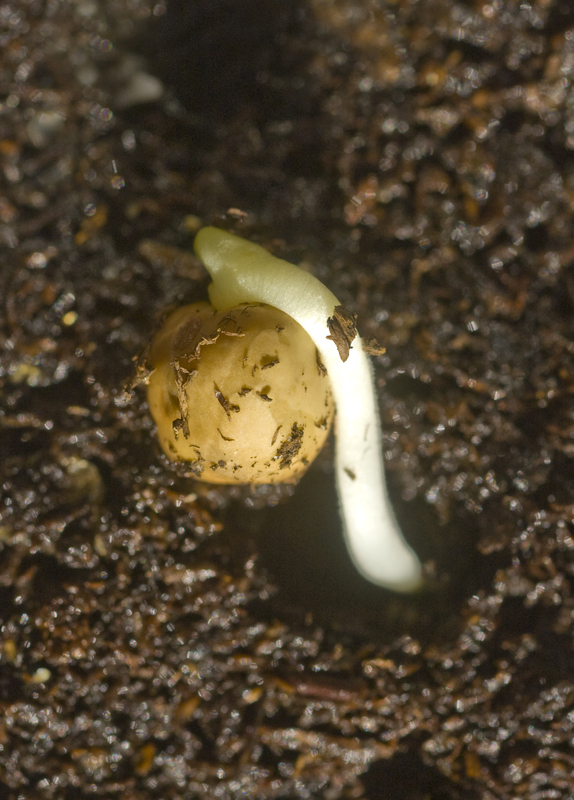 As soon as the seeds sprout, remove the top. Poke a couple of drainage holes in the bottom of the plastic containers to keep your seedlings from getting soggy — and place your mini gardens on top of an old cookie sheet with sides, or a foil or plastic lined cardboard box – the idea is to keep moisture from overwatering from destroying the windowsill or table beneath. 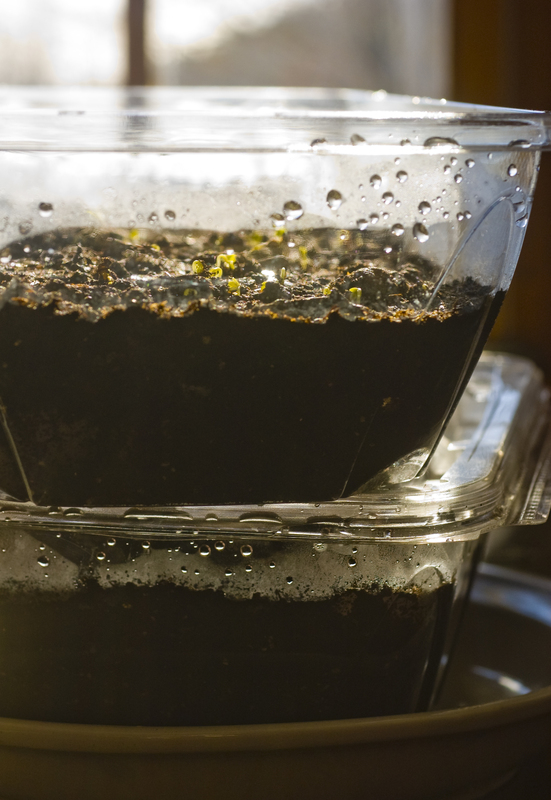 Recycle used salad mix containers and turn them into windowsill winter gardens filled with fresh growing greens. 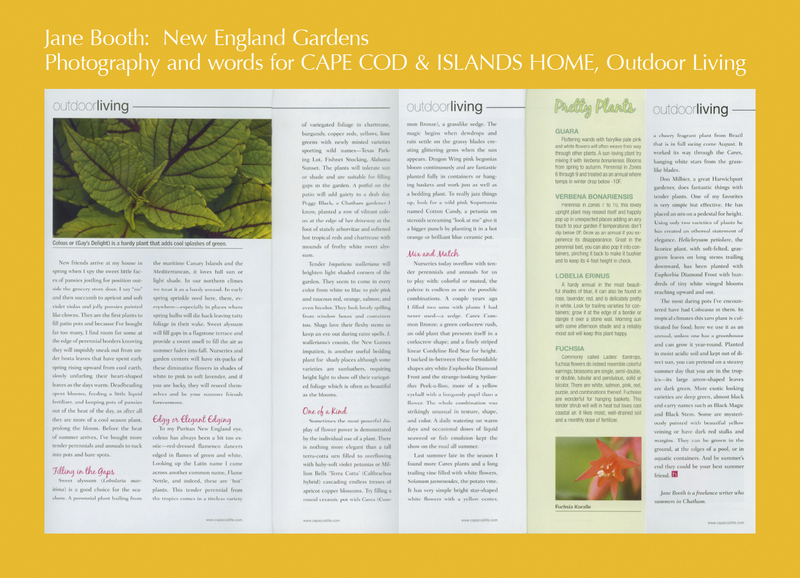 The Goods: Seed catalogues can be an endless source of entertainment when you have the winter doldrums. Yes, you can look at them online, but I find it more exciting when they arrive in the mail and have something to hold in my hand and savor with my eyes. My all time favorite company. They supply packets of seed illustrated with a detailed photo of the product. 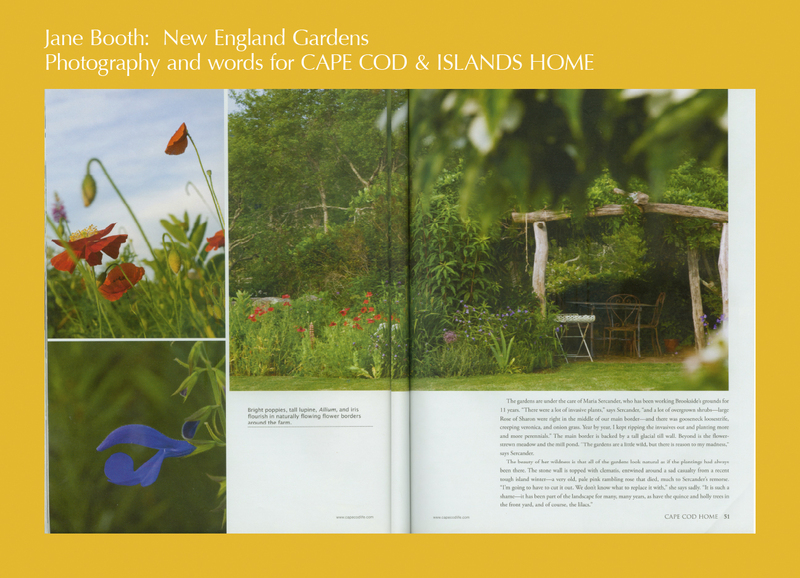 I want everything from this catalogue and over order every year wishing I could clone myself to plant all the yumminess they supply. They have many varieties of salad greens; bitter chicories (delicious with lots of olive oil, garlic, and sprinkled with hot pepper flakes); endless varieties of beans — pole, bush, snap, fresh shelling beans, and drying beans; tomatoes, cabbage, kale, the list goes on. 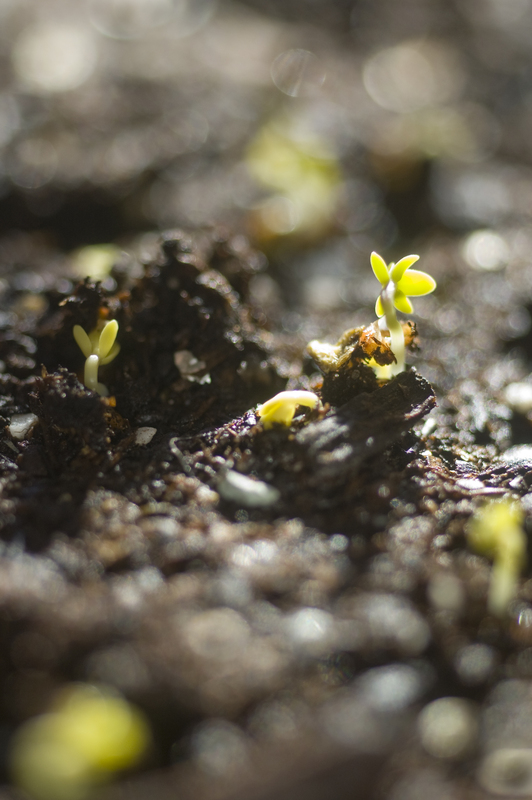 A new company with a mission to grow the best organic seeds for our northern climes. I’ve bought a few packet of seeds from them and passed them on to Chance for the school’s salad garden. Fruition would love feedback and how their seeds grow in our hills and valleys. A catalogue I source from readily and is filled with mouth-watering eye candy. 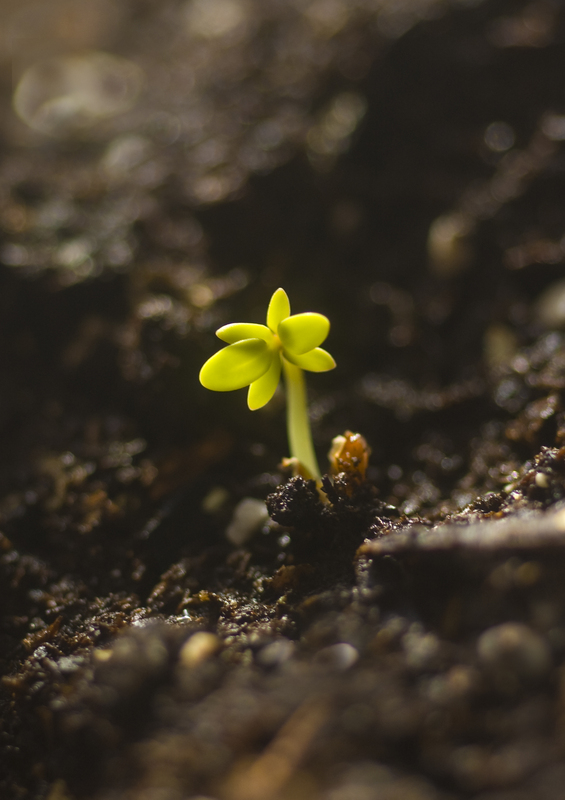 The company is a non-profit with deep roots in seed heritage. Vermont’s own. 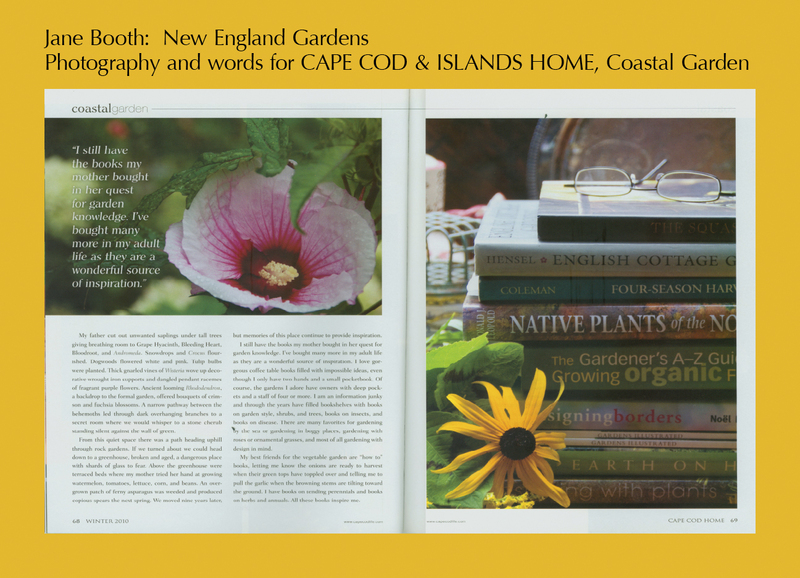 Their catalogue is loaded not only with goodness but multiple tips on growing. 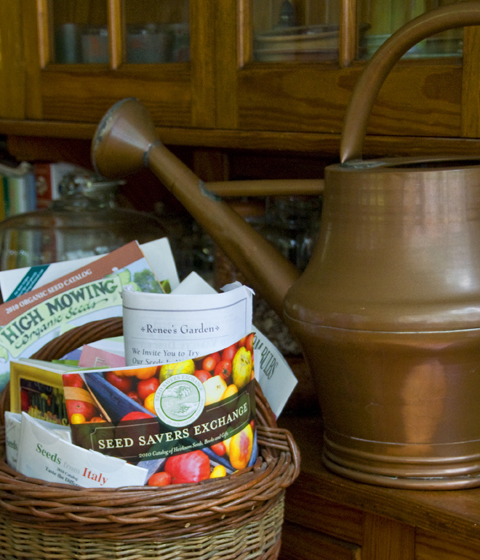 Renee’s offers many varieties of vegetable, herb, and flower seed for the garden. I like their seeds as they come with detailed growing tips printed right on the packet of seed. A tiny catalogue for onion sets and sweet potatoes. 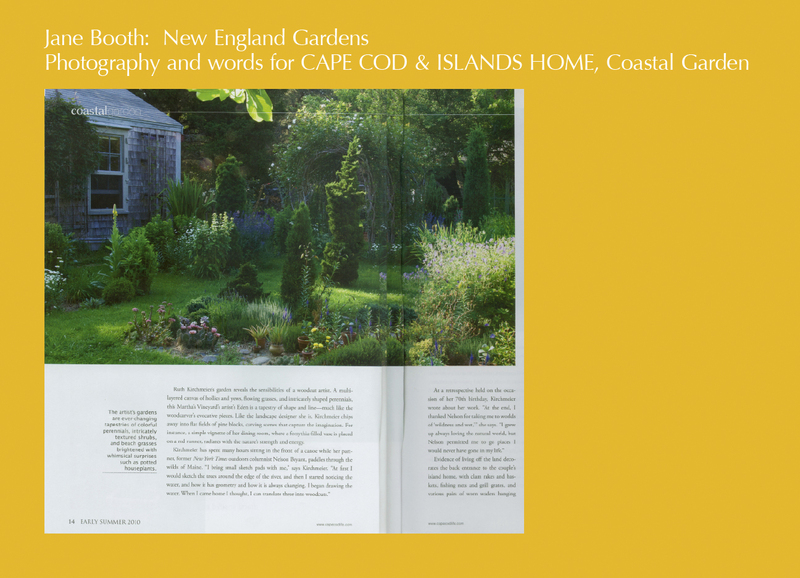 I have been ordering from them for years and have gotten a kick watching the progress of the Brown’s three girls grow as they are featured on the cover of the catalogue each year. This entry was posted in Winter Gardening and tagged Broadleaf Persian Cress, Brown's Omaha, Crescione Comune, Fedco Seeds, Fedco Trees, Fruition Seeds, High Mowing Seeds, Moose Tubers, pea shoots, Renee's Garden, seed catalogues, Seed Savers Exchange, Seeds from Italy, winter gardening on January 28, 2014 by Jane Booth.